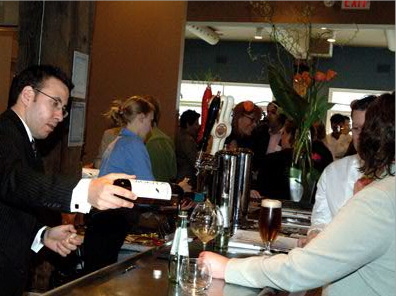 Although those who enroll in the Algonquin Sommelier Program are primarily from the National Capital Region, the program also has graduates who have traveled from other regions, provinces and the United States for the express purpose of taking the program, a testament to the Algonquin Sommelier Program’s wide reach and respect. Veronique Rivest, pictured above, is the double winner of ‘Canada’s Best Sommelier’, winner of ‘The Best Sommelier of the Americas’ 2012, top-12 finalist ‘The Best Sommelier of the World’ competition 2007 and 2010 and second in the 2013 ‘The Best Sommelier in the World Competition’. Véronique is also a former instructor in the Algonquin Sommelier Program. Graduates also include regional, premiere restaurateurs: Dominic and Pasquale Carrozza (Trattoria Italia), Caroline Gosselin (Sidedoor, Restaurant 18), Dominic and Cesare Santaguida (Vittoria Trattoria), Sylvia Taylor (Domus Cafe, Taylor’s Genuine Food & Wine), Steve Beckta (see below), Marc Lepine (see below) and many others. They, and others, often employ Algonquin Sommelier grads. The majority of Product Knowledge Consultants with the LCBO in this region—they are the wine experts in LCBO retail stores—are grads of the Algonquin College Sommelier Program, as well as some LCBO managers. Respected winemakers are also graduates including Jeff Hundertmark, winemaker at one of Niagara’s premium VQA wineries, Marynissen Estates; David Bergeron, co-owner, winemaker Bergeron Estate Winery in Prince Edward County; Tom Moul, owner and founder of Jabulani Vineyard and Winery near Richmond, Ontario; Glen Symons, owner Lighthall Vineyards, a VQA winery in Prince Edward County. 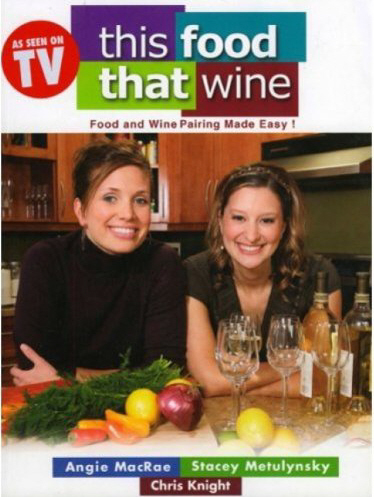 Stacey hosted the Food Network TV series “This Food, That Wine” and co-authored, This Food, That Wine, a popular book on wine and food pairing. She co-founded the highly successful wine marketing firm, ‘Groovy Grapes’ in 2003 and has since hosted hundreds of public, private, and corporate wine events. She recently completed the Advanced Certificate from the Wine Spirits and Education Trust (WSET). Marc graduated from the Algonquin Sommelier Program in 2002. He remains active as a judge for the Wine and Food Matching course. He is owner and chef of Atelier Restaurant, renowned for its molecular gastronomy. Marc, himself, has won the prestigious Gold Medal Plates Canadian Culinary Championships in 2012, with stiff competition from well-known chefs such as Vancouver’s Rob Feenie, who came second. Marc enrolled in the program because he believes that it’s important for chefs to understand how wine selection affects the final taste of a dish, just as any other ingredient does. James was raised in Niagara and graduated from the Algonquin Sommelier Program in July 2005. He spent a year working as a Sommelier at the Chewton Glen Hotel in Hampshire, England, and was the Sommelier at Queens Landing Inn in Niagara-on-the-Lake. Currently, James is the Sommelier-Owner of Treadwell Cuisine, located in the heart of Niagara wine country. Since opening, the restaurant he was named one of the 10 Best New Restaurants in Canada by enRoute Magazine, as well as Canada’s Best Restaurant for Ontario wines by Forbes Magazine. James was named one of the “Top 30 Under 30” by the Ontario Hostelry Institute, and was a member of the Judging Panel at the 2007 Canadian Wine Awards. His wine related travels have taken him through Champagne, Burgundy, California, Germany, Austria, South Africa, Australia, and New Zealand. 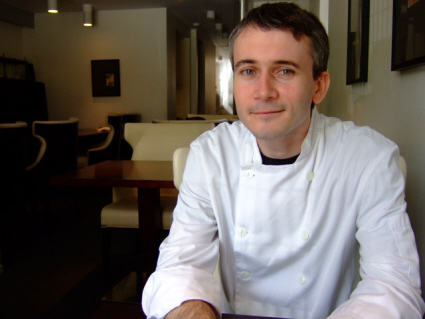 Stephen Beckta is the owner of three of Ottawa’s most successful fine dining restaurants. After graduating with honours from Algonquin College’s Sommelier program, Stephen departed Ottawa to hone his skills in New York City for four years with top restaurateurs such as Daniel Boulud and Danny Meyer. Steve’s restaurants have received glowing reviews in The New York Times, The Globe and Mail, Maclean’s Magazine, The Ottawa Citizen and The Montreal Gazette, being applauded for their extraordinary hospitality, caring customer service, inspired cooking and wine lists. Other accolades include four consecutive CAA/AAA four-diamond awards. Sommelier Steve Robinson has created an impressive list at the award-winning Atelier Restaurant in Ottawa. 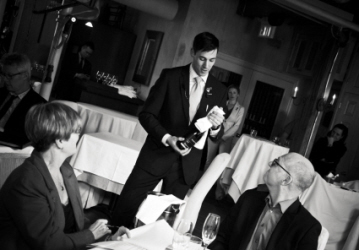 He entered the Ontario Best Sommelier Competition, placing 4th overall in 2010, and 2nd overall in 2012. Steve is also a proud recipient of a top 30 under 30 award from the Ontario Hostelry Institute. He assisted Atelier owner-chef Marc Lepine with pairing wines when Marc won the local round for the Gold Medal Plates in Ottawa. Marc subsequently went on to win the overall Gold Medal Plates Canadian Culinary Championships in 2012. Steve now teaches the Advanced Sommelier course. The Making of a Sommelier: Who Makes the Cut?